Dark Souls Sculpt Collection: The Black Knight | Nerd Much? As soon as this Dark Souls The Black Knight statue was announced I had to pre-order it. We LOVE Dark Souls here at Nerd Much?, and we try to grab as much Dark Souls stuff as we possibly can. The Black Knight Sculpt Collection Statue statue is about 8 inches tall and it has a good weight to it and stands up really well thanks to the clear plastic base. It feels nice and imposing, just like The Black Knight should. It looks great on my shelf with all my other Dark Souls merch and… I have a lot of stuff. Dark Souls is my favorite game series. The statue has no moving parts, of course. That makes sense because it is a statue, but it would have been really cool to maybe move the arms around a bit and change up the pose slightly. The pose is the knight with his sword over his shoulder and holding his shield. I know this is a statue rather than a figure, but I think they should make one you can change the pose to a bit. If they ever do another version I hope they have a slightly more actiony pose. The armor has a really cool metallic finish as well and the detailing is fantastic. Especially the chainmail. In a lot of ways, this statue feels like it stepped right out of Dark Souls. After fighting these guys so often I kind of came to like them quite a lot even though they’re pretty easy to defeat now. I really like the one with the greataxes in Dark Souls III, so if Banpresto ever released any other versions I’d definitely love one with an axe. 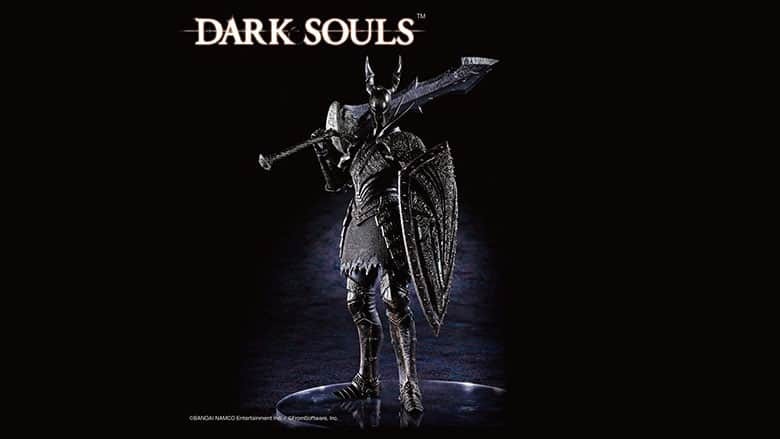 You can pick up the Dark Souls The Black Knight statue on Amazon. Harry Potter Advent Calendar – Pre-Order Now!